Some awesome pics there, don't know where to start with the questions! Keep it up, i love seeing what crazy guys can come up with when left on their own for too long! Ha ha! That gave me goosebumpills seeing that! 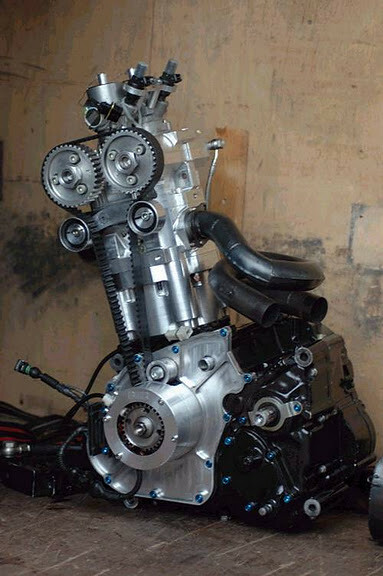 Two stroke twin is neat but got the wrong photo..... 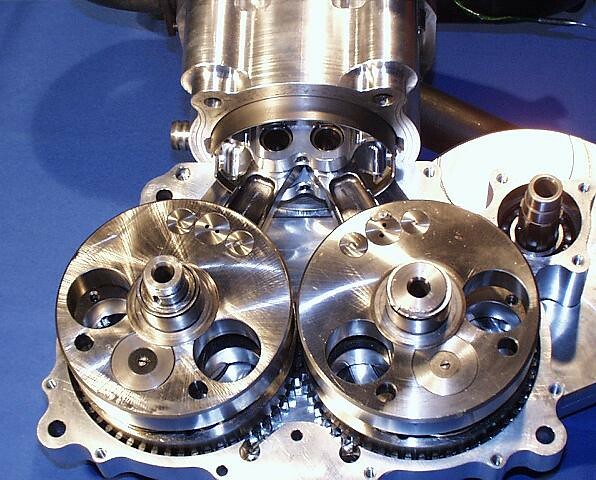 I was refering to the twin crank single cylinder picture. From memory they needed two rods to stabilise the piston rockanroll. I still reckon its a diesel. Whatever happened to drysdails V8? Never quite got off the ground for some reason.... $? 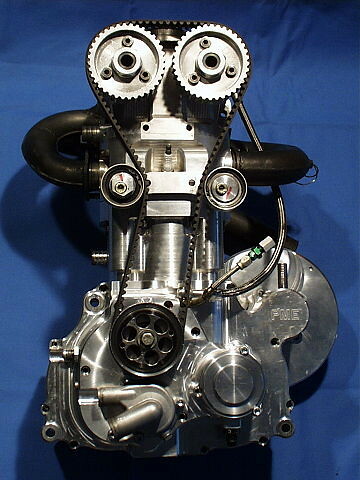 its born for the european supermono cup.. main rule is one piston only. 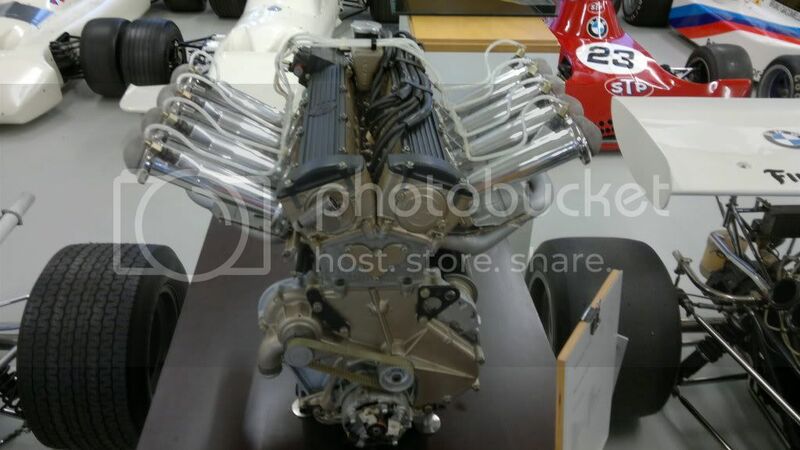 two geared cranks one piston and super long con rods, they also took advantage of the swede innovator apfelbeck in the head; downdrafting the intakes through the centre of the head and locating the intake valves as far apart as possible.. diagonally. Our European season ended with a very nice 21yr old German lady named Katja Poensgen winning the championship riding a BMR-Suzuki. She achieved this by winning 4 out of seven races with one second place & 2 DNFs. The BMR-Suzuki she rode is a very interesting tool. It may have started life as a DR800 motor but that was long ago & far away! 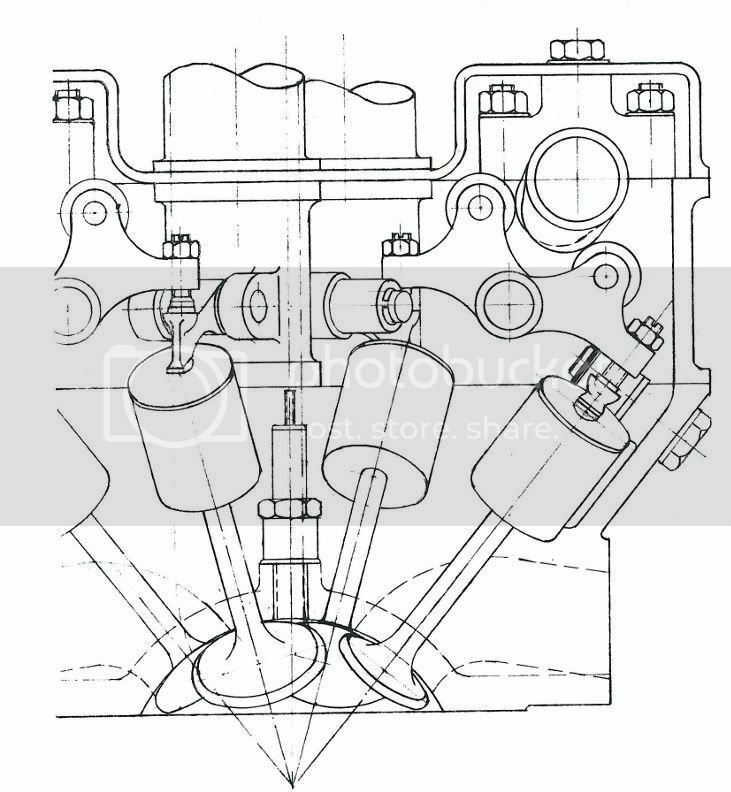 It's creator is Rupert Bainzel, and apart from a lot of bottom-end work, the motor features a machined-from-the-solid top end, with an Apfelbeck type of cylinder head where the valves are arranged radially, with exhaust & inlet ports placed diagonally. 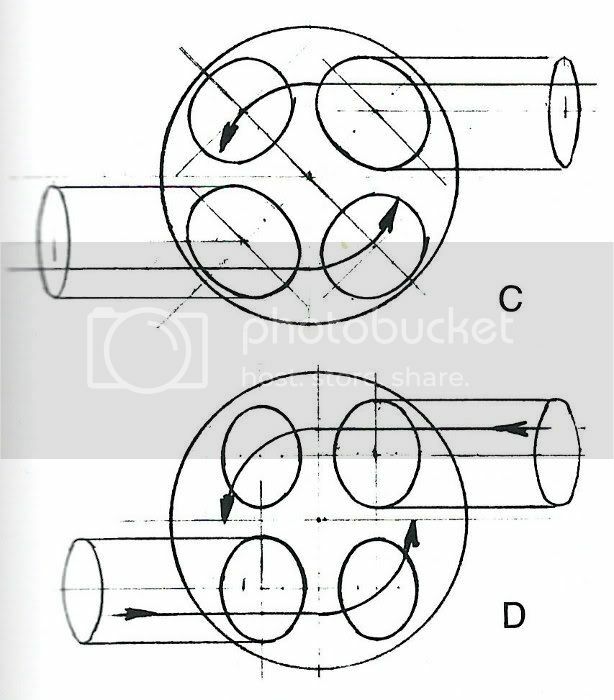 As you can imagine, this calls for some hairy machining of cams, they are conically ground. It's watercooled and fuel-injected & gives over 90BHP from 741cc at 8000 & peaks at something like 9300rpm. Since this represents a BMEP figure of something in the order of 215psi it is a considerable achievement. Of course, this didn't happen overnight, it's taken some years to develop it to the present pitch and I know that Rupert won't even think about how much it's cost! Last edited by bushmechanic; May 17th, 2014 at 10:10 PM. some say this is simply due to more swirl being created.